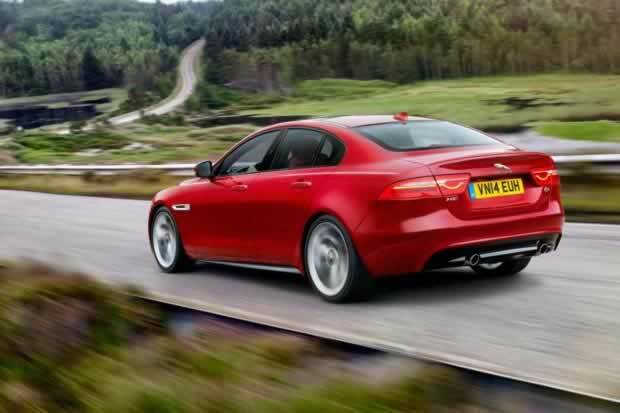 The new 2015 Jaguar XE marks the brand’s return to the compact executive car segment. 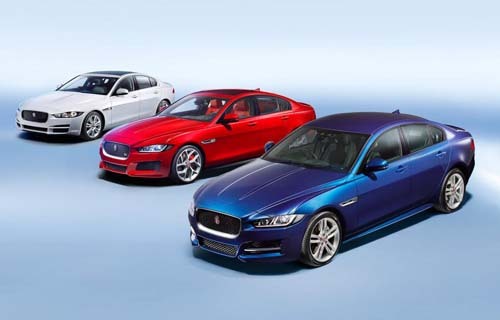 The Jaguar XE, a new and hugely significant car for the British brand, has been revealed. The XE’s arrival fires Jaguar back into the fray in the hugely competitive compact executive car market where the likes of the BMW 3 Series, Audi A4 and Mercedes C-Class traditionally hold sway. 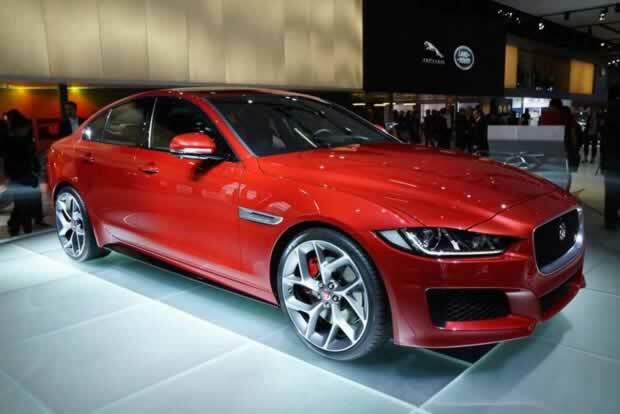 The Jaguar XE‘s public debut came at the 2014 Paris Motor Show in October. It’s on sale now at prices startig from £26,995 with the first deliveries due in May 2015. The public unveiling of the XE came off the back of a star-studded launch event in London which Jaguar trailed by flying the car over the city by helicopter at sunset. No expense has been spared in making sure the new XE arrived with a bang and Jaguar is expecting big things from its newcomer in terms of sales impact. The Jaguar XE is a result of around £2bn worth of investment in a new factory on Land Rover’s home turf in Solihull, W Mids. The car’s mostly aluminium bodyshell is constructed here and the plant will also assemble the XE. A new engine plant in Wolverhampton has also been built to produce the car’s efficient new Ingenium engines. The XE has created more than 3,000 new jobs in the UK and will significantly boost Jaguar sales, which, in this country at least, lag behind Land Rover three to one. So is the new car up to it? 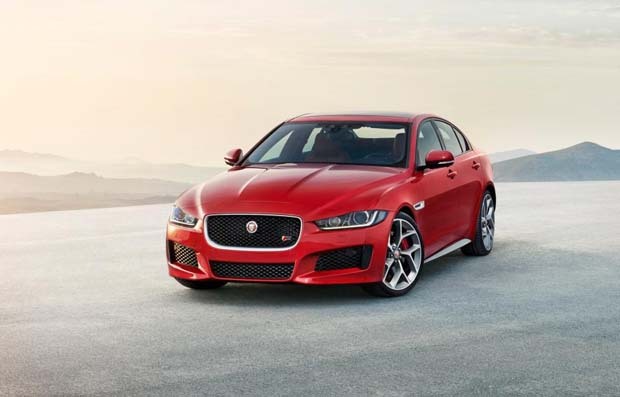 The Jaguar XE, which has been unveiled publically at the Paris Motor Show, will be priced from £26,995 for the base six-speed manual 2.0-litre petrol SE, and rise to £44,870 for the supercharged 3.0-litre S. Trim levels will run from SE, through Prestige and R-Sport to the performance S model. 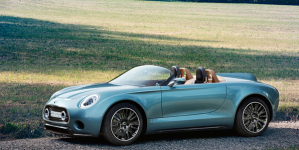 The 2.0-litre diesel will range from £29,775 to £35,425, depending on power output and trim. 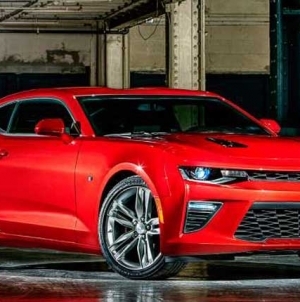 This makes the Jaguar XE ever so slightly more expensive than its main rival, the BMW 3 Series. The 320i SE, closest to the XE’s base model petrol in terms of spec and engine, is just over £400 cheaper. 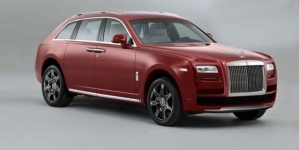 That price differential rises with the diesel, expected to be the most popular model, as the equivalent 320d is £1,000 cheaper than the base 2.0 litre XE.